Welcome to the Jeffco Fall Baseball League! Jeffco Cooperative Fall Baseball is hosted by South Jeffco Baseball and Bear Creek Baseball. 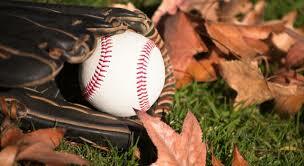 With over 1000 players and over 90 teams each year, this is the premier fall baseball league in Colorado. Play baseball under the best weather, at the best venues, and against the best competition with us! We welcome full and partial team registrations as well as individual players. ​For additional details please see the Fall Baseball FAQ. Note: For Team Registration, go to www.jeffcoleague.com and click the 'register teams' button on the left side of the homepage. If you select this option, you must provide your own team insurance, jerseys, and practice fields. Player and team placement is based on 2020 Spring Season Play. Players entering High School this fall are not eligible to play. Divisions within each age group will be formed based on number of teams, the competitive levels of the players, and other factors. 6-8 is an open division. 8 D1 is an open division. 9-14s we offer 3 divisions. An example for division breakout is below:. D1 - Highest Level. Teams that were 11 Majors or 11 AAA (upper) this past spring would likely fall into this division. Possibly some 11 AAA (lower) teams as well. D2 - Medium Level. Teams that were 11 AA or 10 Majors this past spring would likely fall into this division. Possibly some 11 AAA (lower) / 10 AAA (upper) teams as well. D3 - Lowest Level. Teams that were 10 AAA (lower) or 10 AA this past Spring would likely fall into this division. Thank you for choosing Jeffco Sports Cooperative Baseball!